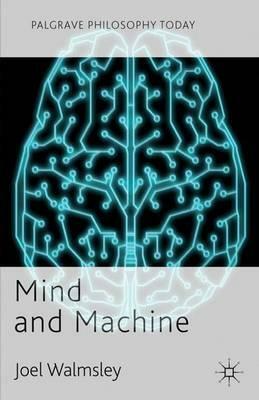 Walmsley offers a succinct introduction to major philosophical issues in artificial intelligence for advanced students of philosophy of mind, cognitive science and psychology. Whilst covering essential topics, it also provides the student with the chance to engage with cutting edge debates. Illustrations note XVI, 216 p.
JOEL WALMSLEY is a Lecturer in Philosophy at University College Cork in Ireland. His research interests are in philosophy of cognitive science (especially concerning Artificial Intelligence and Dynamical Systems Theory), philosophy of science (especially concerning explanation) and philosophy of mind (especially concerning emergence and the 'extended mind' hypothesis). His previous works include Mind: Historical and Philosophical Introduction to the Major Theories (Hackett: 2006. Co-authored with A. Kukla).